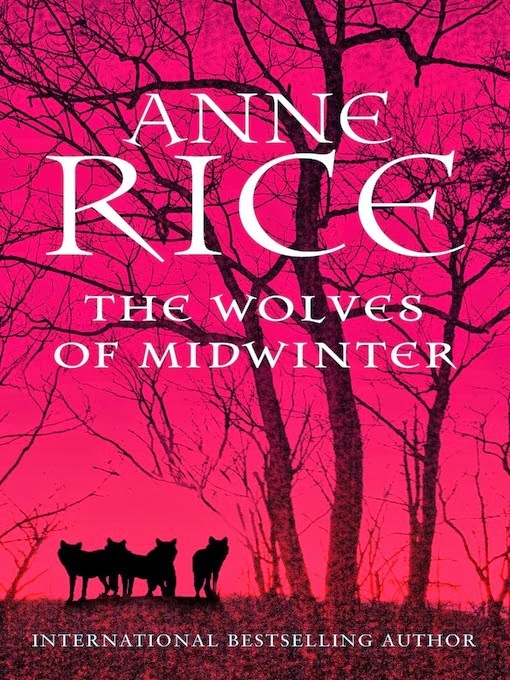 It seems forever since I published this post announcing the new cover for The Wolves of Midwinter by legendary author Anne Rice. It was May 2013 in fact, and fans have been waiting - with baited breath - for the second instalment in The Wolf Gift Chronicles. I received my copy (with alternate red cover pictured right) for Christmas and have waited as long as I can before diving in. I love the anticipation of having an unread book by Anne Rice just sitting on my shelf; the pages new and yearning to be turned for the first time. The ending of The Wolf Gift left me wanting to know much more, and I feel the same way after finishing The Wolves of Midwinter. I want more! I was hungry to learn the backstory for Felix and Margon, but my need wasn't 100% satisfied; and yes, I'm probably greedy in this regard. There were plenty of reveals and new entities introduced and the plot motored along, however that just begged more questions relating to the origin of the new characters and their existence over the past several hundred years prior to meeting up with Reuben and Stuart. The character of Lisa was the most alluring and I can't wait to find out more about her and her heritage. Finally, the Christmas celebration in The Wolves of Midwinter is, in my humble opinion, the best account of Christmas in modern fiction. The plans, decorations, music, food and people evoked such a magical and almost ethereal atmosphere that I would give anything to have been there. I'm hoping The Wolf Gift Chronicles makes it onto the big screen just so I can see Felix's Christmas party at Nideck Point come to life; magnificent. There simply must be a third book in the series and I'm thoroughly looking forward to reading it when it comes out. P.S. The next novel to be published by Anne Rice is Prince Lestat, the 11th in the Vampire Chronicles. It's due to be released at the end of October 2014, plenty of time to re-read the previous 10 right? I just reserved the first book from the library - hooray for books to read during uni holidays! Thanks Shelleyrae and way to go Selwyn! If this is still going to be your first Anne Rice novel, I'd go with Interview With A Vampire first.